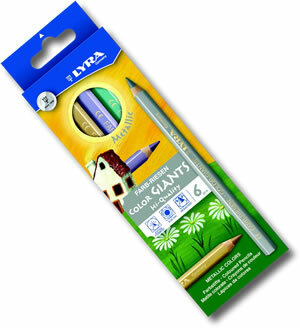 The Lyra Color Giant is an absolutely brilliant pencil for dense, beautiful colour laydown. With an extra thick core, which is highly pigmented it has a lovely thick barrel that feels pleasant in the hand and has a weighty balanced feel. The perfect product for all types of art and colouring. 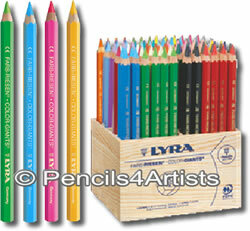 The full range of Lyra Color Giant Pencils available individually. Selection of 6 metallic shade Color Giants in the unlaquered (natural wood) finish. 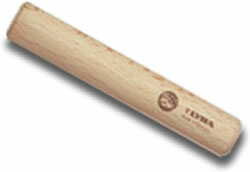 Use your Lyra Ferby, Super Ferby or Color Giant pencils right down to the stump!